Please have your credit card ready prior to signing up. Registration is first come - first served, subject to availability and cannot be held without payment. Individuals/Groups: If you would like to sign up with a friend please indicate their name(s) in the in the Teammate Request section of your free agent registration form. Team Captains: All teammates are required to register as Team Players prior to the deadline to avoid a late fee. Assigned Referees: Teams are required to pay their officials prior to each game. Please visit our Referee Policy page for more information. Shirts: Team shirts are available at the 1st game for anyone that registers prior to the registration deadline. Equipment: PSL provides top-of-the-line equipment at each game. Schedule: Advanced league scheduling and weekly standings. Playoffs/Prizes: All leagues include a 1-2 week playoff. Winners receive championship medals, free happy hour at the sponsor bar and get their team photo posted on PSL social media. Sponsor Bars: Each league has a designated sponsor bar with exclusive specials for PSL Players! Visit our Sponsor Bars page for details. Click here to view the league rules. Paid Registrants will receive a welcome email at least 3-5 days prior to the league start date with schedule information. Please confirm your scheduled game time 24hrs before each game. Schedule and locations are subject to change. 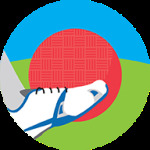 Check out this Kickball league '19SPR2 - KICKBALL COED - NORTHERN LIBERTIES (WEDNESDAYS)' with Philly Leagues!